After a solid but arguably unspectacular first year under Rufus Norris, the National Theatre will be aiming to score more popular hits in 2016 to offset various financial strains. Big name actors such as Ralph Fiennes, Andrew Garfield, Tamsin Grieg and Helen McCrory will line up alongside reliable writers like Lee Hall, Lucy Kirkwood and David Hare. While crowd-pleasing revivals including Peter Pan, Amadeus and Angels In America will be among the headline shows. 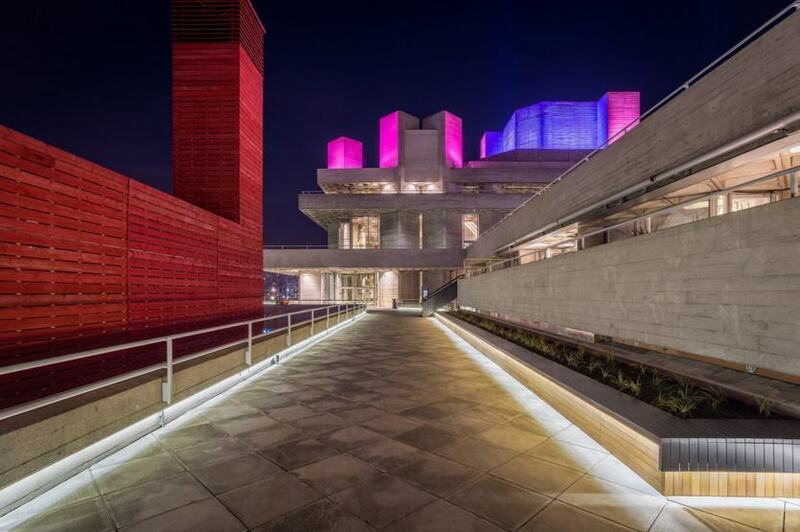 A 30% cut to the organisation’s subsidy has prompted a more mainstream direction while an efficiency drive will see an end to Sunday performances and the likely closure of the Temporary Theatre (the red wooden building on the Southbank that looks like an upturned table). The imminent closure of War Horse in the West End, which has been a key source of cash for the NT, was also cited by Norris as being significant at today’s unveiling of the new season’s plays. Norris said that though familiar classics would be spearheading the programme, reimagining these by making unusual choices would be key to keeping them fresh. Already on the cards are a female Captain Hook (yet to be cast), Tamsin Grieg taking on the regendered role of 'Malvolia' in Twelfth Night, and black actor Lucian Msamati as the villainous Italian composer Salieri in Amadeus. The starry tent-poles will include: Andrew Garfield in Angels In America; Helen McCrory in Terence Rattigan’s The Deep Blue Sea; Ralph Fiennes in Antony And Cleopatra (the female lead still in the process of being cast); and Rory Kinnear as Mack the Knife in Brecht and Weill’s The Threepenny Opera (adapted by Curious Incident’s Simon Stephens). Among the new plays announced were the London premier of Billy Elliot writer Lee Hall’s Our Ladies Of Perpetual Succour; Mosquitoes by Lucy Kirkwood whose last play Chimerica proved a hit; The Flick by Annie Barker, which won the Pulitzer Prize; and The Red Barn by David Hare, who is also providing adaptations of a trilogy of plays by Young Chekhov. There is, of course, an array of varied work among the new line-up with a few smaller edgier pieces, though it has to be said that these are thinner on the ground than last year. Consent by Nina Raine and The Suicide will add some punch, while Another World: Losing Our Children To Islamic State is a provocative-sounding verbatim piece that will surely create debate — in fact this will be the last play in the Temporary Theatre (so, at least it will be going out with a bang). Directors Ivo van Hove and Robert Icke will make their NT debuts, with Hedda Gabler and The Red Barn respectively. Hopefully, they can retain their recent electric form alongside NT stalwarts such as Vicky Featherstone, Carrie Cracknell and Rufus Norris himself. Norris commented that as well as trying to ensure quality of output wouldn’t be affected by the government cuts, a central aim was to ensure that the organisation remained “a theatre for everyone” in which diversity, gender balance, accessibility and resonance were front and centre. He noted that as well as female writers and directors taking a lead role, there would be greater transparency of BAME statistics both on and off stage, and he also welcomed the addition of Sir Lenny Henry to the NT board as a vocal proponent of diversity-linked issues.